Kathy Mann is a champion for living with passion. She believes in living up to your potential and harnessing all your innate talents. She is fascinated by those who are living their true calling each day and strives to live her best possible life. Life for Kathy wasn’t always as joyful as it is now. A few years ago, she was a business owner and managing director, handling millions of rands a month on behalf of clients. She was an ultramarathon runner and a busy wife and mother. 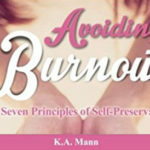 Kathy experienced a burnout: she developed a stress-induced autoimmune disease from living a life that was not aligned to her talents and strengths.